Please welcome our guest writer and 1L Briana Borgolini to discuss why having a career before starting law school could be beneficial and how to use what you have learned in the workforce to be a better law student. The decision of if and when to attend law school is a highly personal one, and often only becomes more difficult the further away from undergrad you get. After spending just a few (or many more) years in the workforce rather than in the classroom, it can be daunting to think about returning to a student lifestyle. If you’re anything like me, you might wonder how you managed to learn so many different things in such a short amount of time in college when it took you nearly two years to (almost) fully understand the nuances of your current job. 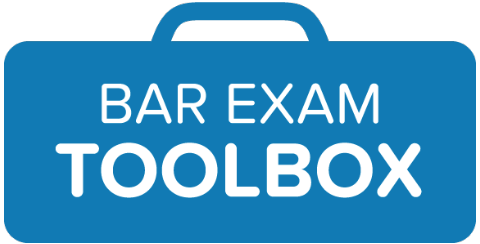 Fortunately, there are a number of ways that your previous career likely prepared you to handle the rigors of law school, even if you don’t know it. We’ve written before about the benefits of being a self-starter in law school, and that mentality is at the heart of what I’m referring to when I say “taking ownership of your work”. Unlike in many undergraduate programs, professors are not there to spoon-feed you the material during a lecture and then test how well you remember the exact material. Law professors are teaching you legal rules and cases, but, more importantly, they are teaching you how to think about those rules and cases. Putting the pieces together is completely on you as a student, and you are responsible for your own learning and performance. Fortunately, if you spent time working in a professional environment before law school, you likely had to adopt this mentality very early on or you wouldn’t have been employed for very long; take this mentality with you to law school. Are you going to be in class for 8 hours every day? No. Should you be using your remaining 3-4 hours during your “school day” to do work? Probably. It should come as no surprise that law school (and subsequently working as a lawyer) will be one of the most demanding commitments you’ve ever made. The sheer volume and difficulty of the information will set it apart from anything you’ve taken on before. Staying on top of such a daunting workload requires diligent management of both your time and mental energy, and the ability to focus on work for hours at a time is crucial to that management. Think of it this way, would you rather do your work from 8-5 each day while the rest of the world is also working, or have your work takeover your evenings and weekends? You will make mistakes in law school – probably often. There will be a marked difference in success between those who become frustrated and discouraged and those who use those mistakes to improve themselves. No matter your background, law school is a new challenge for everyone. You will be asked to learn highly complex information in a very thorough way, and the way that you’re asked to acquire and apply that knowledge is going to be different from anything you’ve done before. If you’ve had any sort of career prior to law school, you probably started without much knowledge about how to approach your job – you probably had to start by doing your best and continually reassess your approach based on successes and failures. 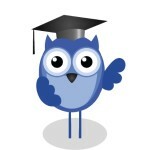 This skillset will be invaluable as you move through the ups and downs of law school. Unless you’re a total rockstar who was able to work full time and get a Bachelor’s degree concurrently, you probably didn’t have a significant full-time job until after you finished your undergraduate studies. No matter the job type, spending time after undergrad in a full-time, professional work environment gives you insight into what is expected of you as a professional, and you should carry this knowledge with you through law school and into your legal career. Professional behavior can help you form valuable relationships with professors and peers during law school, and certain elements, such as professional communication, writing and emailing, will likely even help you in your legal writing class. Further down the road, your experience with things like professional behavior, communication and dress may help you navigate a competitive job market without feeling like an outsider. This may be the most important point of all. As you move further away from undergrad the decision to leave a career (and a salary and 401K) behind can become more and more difficult, and those who choose to go back probably have some very clear reasons for doing so. Your motivations and purpose will play a huge role in your happiness, and probably even your success, in law school. You may have heard about extrinsic versus intrinsic motivators before, and spending some time away from the classroom and in the workforce before returning can help clarify which category you fall into. A clarified purpose can be a powerful force to help drive you forward, especially when the work becomes difficult. No single path to law school is the “right” way, and every background provides advantages and disadvantages. 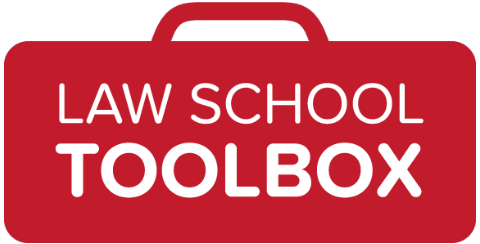 Returning to school after being away from an educational setting for many years can be an intimidating decision, but rest assured many of the skills you developed in your career will serve you well in law school. Briana Borgolini is a law student at Villanova University's Charles Widger School of Law. She received her undergraduate degree from Brown University, where she graduated with her B.A. in Human Biology with Honors. Briana worked in public health research for four years before law school and hopes that her non-traditional perspective can help others navigate the law school and legal career process. Thank you for your valuable resources keep share the information like this! Learned some new stuff with very detailed information.